Get Dave Brubeck essential facts below. View Videos or join the Dave Brubeck discussion. 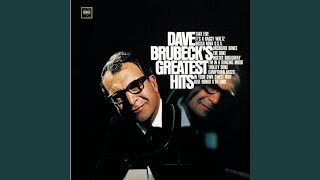 Add Dave Brubeck to your PopFlock.com topic list for future reference or share this resource on social media. David Warren Brubeck (; December 6, 1920 - December 5, 2012) was an American jazz pianist and composer, considered one of the foremost exponents of cool jazz. He wrote a number of jazz standards, including "In Your Own Sweet Way" and "The Duke". Brubeck's style ranged from refined to bombastic, reflecting both his mother's attempts at classical training and his own improvisational skills. His music is known for employing unusual time signatures as well as superimposing contrasting rhythms, meters, and tonalities. 8. He was also a composer of orchestral and sacred music and wrote soundtracks for television, such as Mr. Broadway and the animated miniseries This Is America, Charlie Brown. Dave Brubeck was born in the San Francisco Bay Area city of Concord, California, and grew up in a city located in the Mother Lode called Ione, California. His father, Peter Howard "Pete" Brubeck, was a cattle rancher, and his mother, Elizabeth (ne;e Ivey), who had studied piano in England under Myra Hess and intended to become a concert pianist, taught piano for extra money. His father had Swiss ancestry (the family surname was originally Brodbeck) and possibly Native American Modoc lineage, while his maternal grandparents were English and German. Brubeck originally did not intend to become a musician (his two older brothers, Henry and Howard, were already on that track), but took lessons from his mother. He could not read music during these early lessons, attributing this difficulty to poor eyesight, but "faked" his way through well enough that this deficiency went mostly unnoticed. Intending to work with his father on their ranch, Brubeck entered the College of the Pacific in Stockton, California (now the University of the Pacific), studying veterinary science. He changed to music on the urging of the head of zoology, Dr. Arnold, who told him "Brubeck, your mind's not here. It's across the lawn in the conservatory. Please go there. Stop wasting my time and yours." Later, Brubeck was nearly expelled when one of his professors discovered that he could not read music on sight. Several of his professors came forward, arguing that his ability to write counterpoint and harmony more than compensated, and demonstrated his familiarity with music notation. The college was still afraid that it would cause a scandal, and agreed to let Brubeck graduate only after he had promised never to teach piano. After graduating in 1942, Brubeck was drafted into the U.S. Army. He served in Europe in the Third Army. He volunteered to play piano at a Red Cross show and was such a hit that he was spared from combat service and ordered to form a band. He created one of the U.S. armed forces' first racially integrated bands, "The Wolfpack". While serving in the military, Brubeck met Paul Desmond in early 1944. He returned to college after serving nearly four years in the army, this time attending Mills College in Oakland. He studied under Darius Milhaud, who encouraged him to study fugue and orchestration, but not classical piano. While on active duty, he received two lessons from Arnold Schoenberg at UCLA in an attempt to connect with high modernist theory and practice. However, the encounter did not end on good terms since Schoenberg believed that every note should be accounted for, an approach which Brubeck could not accept, although according to his son Chris Brubeck, there is a twelve-tone row in The Light in the Wilderness, Dave Brubeck's first oratorio. In it, Jesus's twelve disciples are introduced each singing their own individual notes; it is described as "quite dramatic, especially when Judas starts singing 'Repent' on a high and straining dissonant note." After completing his studies under Milhaud, Brubeck worked with an octet (the recording bears his name only because Brubeck was the best-known member at the time), and a trio including Cal Tjader and Ron Crotty. Highly experimental, the group made few recordings and got even fewer paying jobs. The trio was often joined by Paul Desmond on the bandstand, at Desmond's own insistence. Jack Sheedy owned San Francisco-based Coronet Records, which had previously recorded area Dixieland bands. (This Coronet Records should not be confused with either the late 1950s New York-based budget label, nor with Australia-based Coronet Records.) In 1949, Sheedy was talked into making the first recording of Brubeck's octet and later his trio. But Sheedy was unable to pay his bills and in 1949 turned his masters over to his record stamping company, the Circle Record Company, owned by Max and Sol Weiss. The Weiss brothers soon changed the name of their business to Fantasy Records. 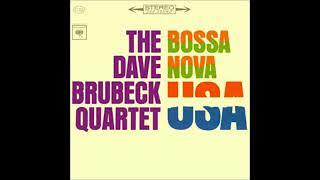 These initial Brubeck records sold well, and he recorded and issued new records for Fantasy. 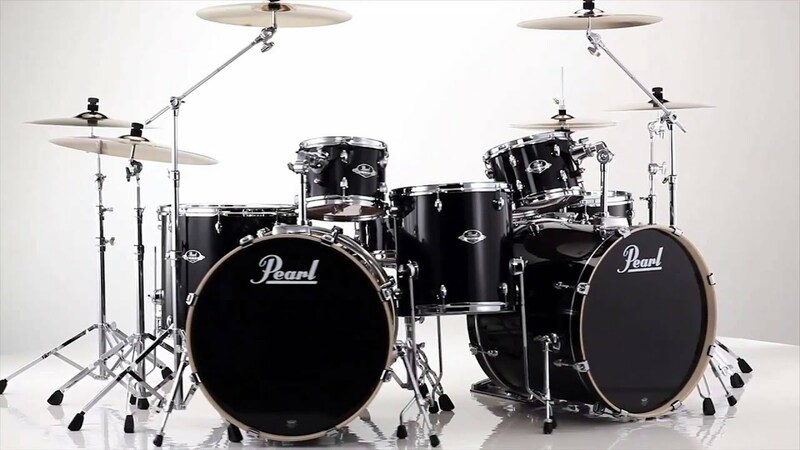 Soon the company was shipping 40,000 to 50,000 copies of Brubeck records each quarter, making enormous profits. The quartet in 1959 during the Time Out sessions. From left to right: Joe Morello, Paul Desmond, Dave Brubeck, Eugene Wright. In 1951, Brubeck damaged several neck vertebrae and his spinal cord while diving into the surf in Hawaii. He would later remark that the rescue workers who responded had described him as a "DOA" (dead on arrival). Brubeck recovered after a few months, but suffered with residual nerve pain in his hands for years after. The injury also influenced his playing style towards complex, blocky chords rather than speedy, high-dexterity, single-note runs. Brubeck organized the Dave Brubeck Quartet in 1951, with Paul Desmond on alto saxophone. They took up a long residency at San Francisco's Black Hawk nightclub and gained great popularity touring college campuses, recording a series of albums with such titles as Jazz at Oberlin (1953), Jazz at the College of the Pacific (1953), and Brubeck's debut on Columbia Records, Jazz Goes to College (1954). When Brubeck signed with Fantasy Records, he thought he had a half interest in the company and he worked as a sort of A & R man for the label, encouraging the Weiss brothers to sign other contemporary jazz performers, including Gerry Mulligan, Chet Baker and Red Norvo. When he discovered that all he owned was a half interest in his own recording, he quit to sign with another label, Columbia Records. In 1954, he was featured on the cover of Time, the second jazz musician to be so honored (the first was Louis Armstrong on February 21, 1949). Brubeck personally found this accolade embarrassing, since he considered Duke Ellington more deserving of it and was convinced that he had been favored for being Caucasian. Ellington himself knocked on the door of Brubeck's hotel room to show him the cover and the only reaction Brubeck could give was, "It should have been you." Early bassists for the group included Ron Crotty, Bob Bates and his brother Norman Bates; Lloyd Davis and Joe Dodge held the drum chair. 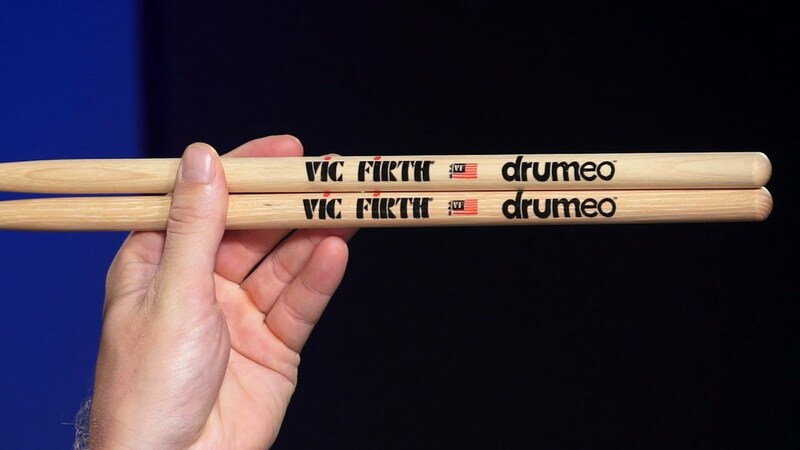 In 1956 Brubeck hired drummer Joe Morello, who had been working with Marian McPartland; Morello's presence made possible the rhythmic experiments that were to come. In 1958 African-American bassist Eugene Wright joined for the group's U.S. Department of State tour of Europe and Asia. Wright became a permanent member in 1959, making the "classic" Quartet's personnel complete. During the late 1950s and early 1960s Brubeck canceled several concerts because the club owners or hall managers continued to resist the idea of an integrated band on their stages. He also canceled a television appearance when he found out that the producers intended to keep Wright off-camera. 4 were used, inspired by Eurasian folk music they experienced during their 1958 Department of State sponsored tour. Nonetheless, on the strength of these unusual time signatures (the album included "Take Five", "Blue Rondo la Turk", and "Three To Get Ready"), it quickly went Platinum. It was the first jazz album to sell more than a million copies. 4; and Time In (1966). These albums (except the last) were also known for using contemporary paintings as cover art, featuring the work of Joan Mir on Time Further Out, Franz Kline on Time in Outer Space, and Sam Francis on Time Changes. A high point for the group was their 1963 live album At Carnegie Hall, described by critic Richard Palmer as "arguably Dave Brubeck's greatest concert". On a handful of albums in the early 1960s, clarinetist Bill Smith replaced Desmond. 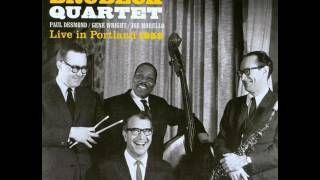 These albums were devoted to Smith's compositions and thus had a somewhat different aesthetic than other Brubeck Quartet albums. 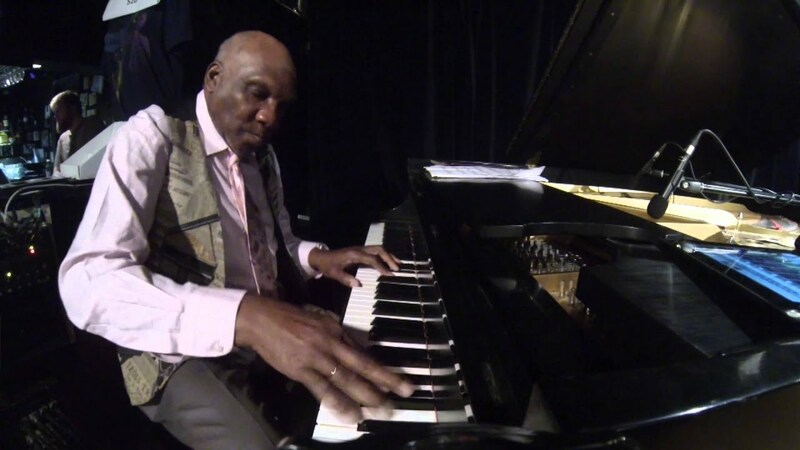 Nonetheless, according to critic Ken Dryden, "[Smith] proves himself very much in Desmond's league with his witty solos." Smith was an old friend of Brubeck's; they would record together, intermittently, from the 1940s until the final years of Brubeck's career. In the early 1960s, Brubeck and his wife Iola developed a jazz musical, The Real Ambassadors, based in part on experiences they and their colleagues had during foreign tours on behalf of the Department of State. The soundtrack album, which featured Louis Armstrong, Lambert, Hendricks & Ross, and Carmen McRae was recorded in 1961; the musical was performed at the 1962 Monterey Jazz Festival. At its peak in the early 1960s, the Brubeck Quartet was releasing as many as four albums a year. Apart from the "College" and the "Time" series, Brubeck recorded four LPs featuring his compositions based on the group's travels, and the local music they encountered. 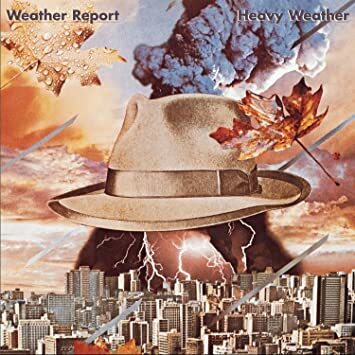 Jazz Impressions of the U.S.A. (1956, Morello's debut with the group), Jazz Impressions of Eurasia (1958), Jazz Impressions of Japan (1964), and Jazz Impressions of New York (1964) are less well-known albums, but all are brilliant examples of the quartet's studio work, and they produced Brubeck standards such as "Summer Song", "Brandenburg Gate", "Koto Song", and "Theme From Mr. Broadway". (Brubeck wrote, and the Quartet performed, the theme song for this Craig Stevens CBS drama series; the music from the series became material for the New York album.) In 1961, Brubeck appeared in a few scenes of the British jazz/beat film All Night Long, which starred Patrick McGoohan and Richard Attenborough. Brubeck merely plays himself, with the film featuring close-ups of his piano fingerings. 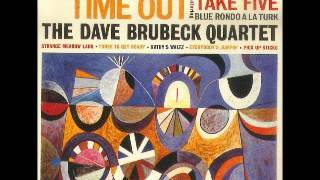 Brubeck performs "It's a Raggy Waltz" from the Time Further Out album and duets briefly with bassist Charles Mingus in "Non-Sectarian Blues". 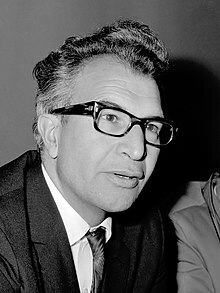 In the early 1960s Dave Brubeck was the program director of WJZZ-FM radio (now WEZN-FM). He achieved his vision of an all-jazz format radio station along with his friend and neighbor John E. Metts, one of the first African Americans in senior radio management. The final studio album for Columbia by the Desmond/Wright/Morello quartet was Anything Goes (1966) featuring the songs of Cole Porter. A few concert recordings followed, and The Last Time We Saw Paris (1967) was the "Classic" Quartet's swan-song. Brubeck produced The Gates of Justice in 1968, a cantata mixing Biblical scripture with the words of Dr. Martin Luther King, Jr. The new senior management at Columbia Records decided not to renew Brubeck's contract in 1971, as they wished to focus on rock music. He moved to Atlantic Records. His music was used in the 1985 film Ordeal by Innocence. 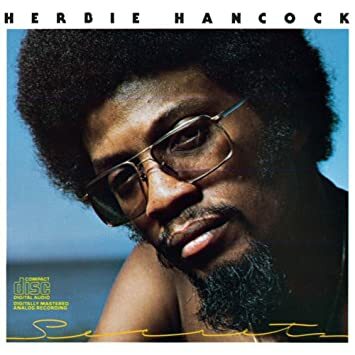 He also composed for - and performed with his ensemble on - "The NASA Space Station", a 1988 episode of the CBS TV series This Is America, Charlie Brown. Dave Brubeck married jazz lyricist Iola Whitlock in September 1942, remaining married for 70 years up until his death. Iola died on March 12, 2014, from cancer in Wilton, Connecticut, at the age of 90. Four of Brubeck's six children have been professional musicians. Darius, the eldest, is a pianist, producer, educator and performer. (He was named after Dave Brubeck's mentor Darius Milhaud.) Dan is a percussionist, Chris is a multi-instrumentalist and composer. Matthew, the youngest, is a cellist with an extensive list of composing and performance credits. Another son, Michael, died in 2009. Brubeck's children often joined him in concerts and in the recording studio. Brubeck believed that what he saw during his time as a soldier in World War II contradicted the Ten Commandments, and the war evoked a spiritual awakening. He became a Catholic in 1980, shortly after completing the Mass To Hope which had been commissioned by Ed Murray, editor of the national Catholic weekly Our Sunday Visitor. Although he had spiritual interests before that time, he said, "I didn't convert to Catholicism, because I wasn't anything to convert from. I just joined the Catholic Church." In 1996, he received the Grammy Lifetime Achievement Award. In 2006, Brubeck was awarded the University of Notre Dame's Laetare Medal, the oldest and most prestigious honor given to American Catholics, during the University's commencement. He performed "Travellin' Blues" for the graduating class of 2006. Brubeck founded the Brubeck Institute with his wife, Iola, at their alma mater, the University of the Pacific in 2000. What began as a special archive, consisting of the personal document collection of the Brubecks, has since expanded to provide fellowships and educational opportunities in jazz for students, also leading to having one of the main streets on which the school resides named in his honor, Dave Brubeck Way. The main-belt asteroid 5079 Brubeck was named after Brubeck. Brubeck recorded five of the seven tracks of his album Jazz Goes to College in Ann Arbor. He returned to Michigan many times, including a performance at Hill Auditorium where he received a Distinguished Artist Award from the University of Michigan's Musical Society in 2006. On April 8, 2008, United States Secretary of State Condoleezza Rice presented Brubeck with a "Benjamin Franklin Award for Public Diplomacy" for offering an American "vision of hope, opportunity and freedom" through his music. "As a little girl I grew up on the sounds of Dave Brubeck because my dad was your biggest fan," said Rice. The State Department said in a statement that "as a pianist, composer, cultural emissary and educator, Dave Brubeck's life's work exemplifies the best of America's cultural diplomacy." At the ceremony Brubeck played a brief recital for the audience at the State Department. "I want to thank all of you because this honor is something that I never expected. Now I am going to play a cold piano with cold hands," Brubeck stated. California Governor Arnold Schwarzenegger and First Lady Maria Shriver announced on May 28, 2008, that Brubeck would be inducted into the California Hall of Fame, located at The California Museum for History, Women and the Arts. The induction ceremony occurred December 10, and he was inducted alongside eleven other famous Californians. In 2008 Brubeck became a supporter of the Jazz Foundation of America in its mission to save the homes and the lives of elderly jazz and blues musicians, including those who had survived Hurricane Katrina. Brubeck supported the Jazz Foundation by performing in its annual benefit concert "A Great Night in Harlem". On October 18, 2008, Brubeck received an honorary Doctor of Music degree from the prestigious Eastman School of Music in Rochester, New York. In September 2009, the Kennedy Center for the Performing Arts announced Brubeck as a Kennedy Center Honoree for exhibiting excellence in performance arts. The Kennedy Center Honors Gala took place on Sunday, December 6 (Brubeck's 89th birthday), and was broadcast nationwide on CBS on December 29 at 9:00 pm EST. When the award was made, President Barack Obama recalled a 1971 concert Brubeck had given in Honolulu and said, "You can't understand America without understanding jazz, and you can't understand jazz without understanding Dave Brubeck." On September 20, 2009, at the Monterey Jazz Festival, Brubeck was awarded an honorary Doctor of Music degree (D.Mus. honoris causa) from Berklee College of Music. On May 16, 2010, Brubeck was awarded an honorary Doctor of Music degree (honoris causa) from the George Washington University in Washington, D.C. The ceremony took place on the National Mall. On July 5, 2010, Brubeck was awarded the Miles Davis Award at the Montreal International Jazz Festival. 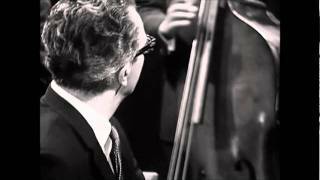 In 2010, Bruce Ricker and Clint Eastwood produced Dave Brubeck: In His Own Sweet Way, a documentary about Brubeck for Turner Classic Movies (TCM) to commemorate his 90th birthday in December 2010. Brubeck died of heart failure on December 5, 2012, in Norwalk, Connecticut, one day before his 92nd birthday. He was on his way to a cardiology appointment, accompanied by his son Darius. A birthday party concert had been planned for him with family and famous guests. A memorial tribute was held in May 2013. The Los Angeles Times noted that he "was one of Jazz's first pop stars," even though he was not always happy with his fame, uncomfortable, for example, that Time had featured him on the cover before it did so for Duke Ellington, saying, "It just bothered me".The New York Times noted he had continued to play well into his old age, performing in 2011 and in 2010 only a month after getting a pacemaker, with Times music writer Nate Chinen commenting that Brubeck had replaced "the old hammer-and-anvil attack with something almost airy" and that his playing at the Blue Note Jazz Club in New York City was "the picture of judicious clarity". In The Daily Telegraph, music journalist Ivan Hewett wrote: "Brubeck didn't have the re;clame of some jazz musicians who lead tragic lives. He didn't do drugs or drink. What he had was endless curiosity combined with stubbornness", adding "His work list is astonishing, including oratorios, musicals and concertos, as well as hundreds of jazz compositions. This quiet man of jazz was truly a marvel." In The Guardian, John Fordham said "Brubeck's real achievement was to blend European compositional ideas, very demanding rhythmic structures, jazz song-forms and improvisation in expressive and accessible ways. His son Chris told The Guardian "when I hear Chorale, it reminds me of the very best Aaron Copland, something like Appalachian Spring. There's a sort of American honesty to it. "Robert Christgau dubbed Brubeck the "jazz hero of the rock and roll generation". The Economist wrote: "Above all they found it hard to believe that the most successful jazz in America was being played by a family man, a laid-back Californian, modest, gentle and open, who would happily have been a rancher all his days--except that he couldn't live without performing, because the rhythm of jazz, under all his extrapolation and exploration, was, he had discovered, the rhythm of his heart." The Concord Boulevard Park in his hometown of Concord, California, was renamed to "Dave Brubeck Memorial Park" in his honor. Mayor Dan Helix favorably recalled one of his performances at the park, saying "He will be with us forever because his music will never die." On the night of Brubeck's death, right before the intermission of a performance for Chick Corea and Gary Burton's "Hot House", a tribute was performed solely by Corea at Koerner Hall at the Royal Conservatory of Music in Toronto. The tune played was "Strange Meadow Lark", from Brubeck's album Time Out. Brubeck is interred at Umpawaug Cemetery in Redding, Connecticut. In the United States, May 4 is informally observed as "Dave Brubeck Day". 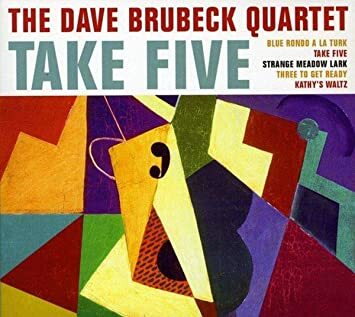 In the format most commonly used in the U.S., May 4 is written "5/4," recalling the time signature of "Take Five", Brubeck's best known recording. A new biography of Dave Brubeck, by the British writer Philip Clark, will be published by Da Capo Press in 2019. ^ a b "Reception honors Concord native son, jazz great Dave Brubeck". Archived from the original on September 28, 2007. Retrieved 2007. , ci.concord.ca.us. Retrieved September 28, 2007. 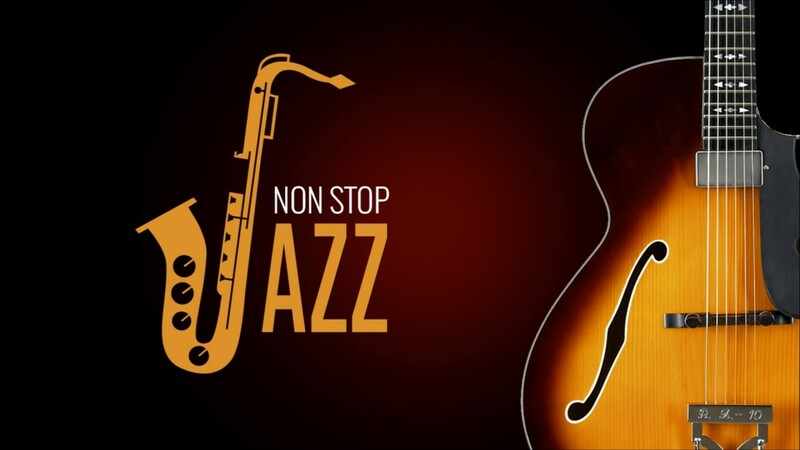 ^ "Jazz Music - Jazz Artists - Jazz News". Jazz.com. Archived from the original on August 30, 2012. Retrieved 2012. ^ Storb, Ilse (2000). Jazz meets the world - the world meets Jazz, Volume 4 of Populre Musik und Jazz in der Forschung. LIT Verlag Berlin-Hamburg-Mnster. p. 129. ISBN 3-8258-3748-3. ^ "Ancestry of Dave Brubeck". Wargs.com. Retrieved 2012. ^ "Dave Brubeck NEA Jazz Master (1999)" (PDF). Smithsonianjazz.org. Retrieved 2013. ^ Fishko, Sara. 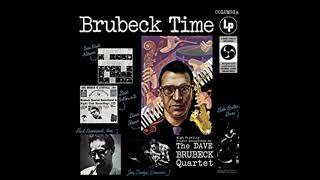 "An Hour With Dave Brubeck". WNYC. Retrieved 2013. ^ It's About Time: The Dave Brubeck Story, by Fred M. Hall. 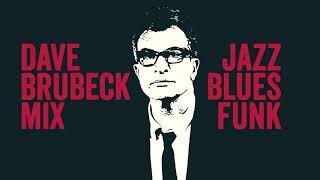 ^ a b "Rediscovering Dave Brubeck | The Man | With Hedrick Smith". PBS. Retrieved 2013. ^ Starr, Kevin. 2009. Golden dreams: California in an age of abundance, 1950-1963. Oxford: Oxford University Press. ^ Chris Brubeck. "My Mentor, My Collaborator, My Father: Dave Brubeck". Newmusicbox.org. Retrieved 2013. ^ Gioia, Ted. "Dave Brubeck and Modern Jazz in San Francisco" in West Coast Jazz: Modern Jazz in California 1945-1960, University of California Press, Berkeley, Calif., 1998 (reprint of 1962 edition), pp. 63-64. 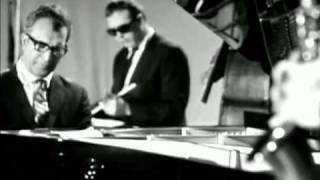 ^ a b c "Dave Brubeck, worldwide ambassador of jazz, dies at 91". washingtonpost.com. December 6, 2012. Retrieved 2012. ^ "The San Francisco Scene in the 1950s," West Coast Jazz: Modern Jazz in California 1945-1960, Ted Gioia, University of California Press, Berkeley, Calif., 1998 (reprint of 1962 edition), pp. 94-95. ^ Kaplan, Fred (2009). 1959: The Year that Changed Everything. John Wiley & Songs. p. 131. ^ "Sample Liner Notes by Darius Brubeck". 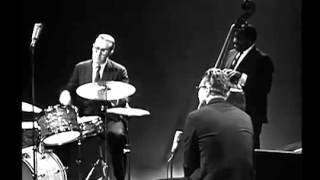 Dave Brubeck Live IN '64 & '66. 2007. Retrieved 2012. ^ Schudel, Matt (2008-04-06). "Ambassador of Cool". washingtonpost.com. Retrieved . ^ Grabar, Henry (December 5, 2012). "How Dave Brubeck Used His Talents to Fight for Integration". The Atlantic Cities. Retrieved 2012. ^ Kaplan (2009). 1959. pp. 131-132. 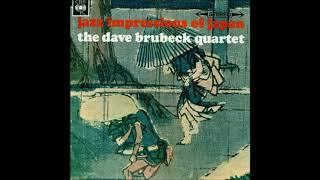 ^ "Near-Myth - The Dave Brubeck Quartet | Songs, Reviews, Credits | AllMusic". allmusic.com. Retrieved 2015. ^ Hall, Fred M. (1996). It's About Time. Fayetteville, Arkansas: University of Arkansas Press. pp. 147-148. ISBN 1-55728-404-0. ^ Minovitz, Ethan (December 11, 2012). "Take Five Jazz Great Dave Brubeck Dead at 91". Big Cartoon DataBase. Archived from the original on January 18, 2013. Retrieved 2012. ^ Iola Brubeck dies, recordnet.com; accessed March 14, 2014. ^ Kevin Starr (September 10, 2009). Golden Dreams: California in an Age of Abundance 1950-1963. Oxford University Press. pp. 393-. ISBN 978-0-19-515377-4. Retrieved 2012. 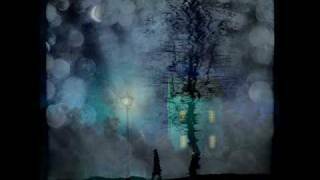 ^ "Darius Brubeck - Piano". Rediscovering Dave Brubeck. PBS. Retrieved 2011. ^ a b Ratliff, Ben (December 6, 1920). "Dave Brubeck, Jazz Musician, Dies at 91". The New York Times. Retrieved 2012. 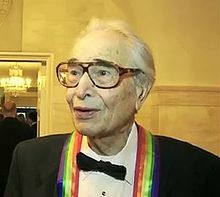 ^ "Jazz legend Dave Brubeck to receive Laetare Medal". University of Notre Dame Office of News & Information. March 25, 2006. Retrieved 2009. 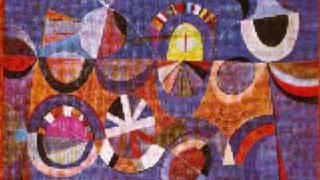 ^ "Brubeck Summer Jazz Colony". Web.pacific.edu. Retrieved 2013. ^ Alan Chamberlin. "JPL Small-Body Database Browser". Ssd.jpl.nasa.gov. Retrieved 2013. ^ a b c d e "Jazz great Brubeck wins US public diplomacy award" Archived April 13, 2008, at the Wayback Machine., AFP, April 8, 2008. ^ "Whatever Happened to Cultural Diplomacy?" Archived April 23, 2008, at the Wayback Machine., All About Jazz, April 19, 2008. ^ "Artists Dominate the 2008 'California Hall of Fame'". California Arts Council. May 28, 2008. Archived from the original on December 11, 2009. Retrieved 2009. ^ "Dave Brubeck, Hank Jones and Norah Jones Perform at Jazz Foundation of America's "A Great Night in Harlem" Benefit on May 29th". Allaboutjazz.com. Archived from the original on May 5, 2008. Retrieved 2013. ^ "J.B. Spins: JFA Delivers Another Great Night". Jbspins.blogspot.com. May 30, 2008. Retrieved 2013. ^ "Kennedy Center Honorees for 2009 Are: Mel Brooks, Robert De Niro, Grace Bumbry, Bruce Springsteen and Dave Brubeck". The Washington Post. September 9, 2009. Retrieved 2011. ^ "Dave Brubeck to Receive Honorary Doctorate". Berklee College of Music. August 19, 2009. Retrieved 2011. ^ "The George Washington University's Commencement Line-Up Finalized - A. James Clark and Legendary Pianist and Composer Dave Brubeck to Receive Honorary Degrees; First Lady Michelle Obama to Headline Weekend Celebration". George Washington University. April 21, 2010. Retrieved 2013. ^ "Miles Davis Award - Festival International de Jazz de Montre;al". Montrealjazzfest.com. Archived from the original on May 18, 2013. Retrieved 2013. 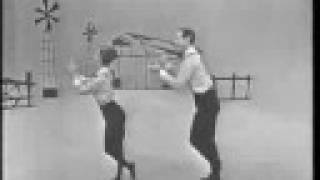 ^ "In Dave Brubeck's Own Sweet Way". JazzTimes. Retrieved 2011. ^ "Jazz pianist Dave Brubeck dead at age 91". Chicago Tribune. December 5, 2012. Retrieved 2012. 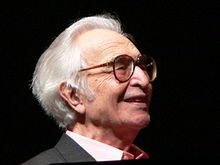 ^ "Jazz great Dave Brubeck dies in Connecticut". USA Today. December 5, 2012. Retrieved 2012. ^ "Dave Brubeck's Memorial Tribute at the Church of St. John of the Divine held Saturday May 11, 2013". allaboutjazz.com. 2015-05-12. Retrieved . ^ Brown, August. "Jazz great Dave Brubeck dies at 91". Los Angeles Times. Retrieved 2012. ^ Hewett, Ivan. "Dave Brubeck: Endless curiosity combined with stubbornness". The Daily Telegraph. Retrieved 2012. ^ Fordham, John (December 5, 2012). "Dave Brubeck obituary". The Guardian. Retrieved 2012. ^ Christgau, Robert (December 7, 2012). "Dave Brubeck". MSN Music. Microsoft. Archived from the original on January 11, 2013. Retrieved 2012. 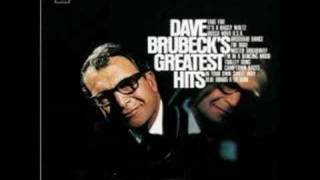 ^ "Dave Brubeck". The Economist. December 15, 2012. Retrieved 2015. ^ Henry, Emily (December 5, 2012). "Concord Remembers Native Dave Brubeck". Patch.com. Retrieved 2018. ^ "December Concerts at The Royal Conservatory | The Royal Conservatory of Music". Rcmusic.ca. Archived from the original on September 24, 2015. Retrieved 2015. ^ DuMort, Louis (December 5, 2012). "Dave Warren Brubeck (1920-2012)". Find a Grave. Retrieved 2016. 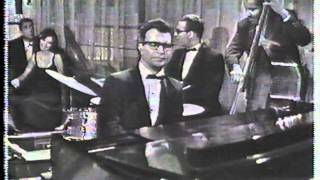 ^ "5/4 is Dave Brubeck Day!". ^ "New Dave Brubeck biography". Dave Brubeck Jazz. 27 October 2017. ^ "Dave Brubeck receives honorary doctorate in Theology - The;ologie morale fondamentale Universite; de Fribourg". Unifr.ch. Archived from the original on September 8, 2012. Retrieved 2012. ^ "Organ Debut, Honorary Degree for Jazz Great Dave Brubeck Highlight Eastman Weekend Celebration". Eastman School of Music. Retrieved 2012. ^ "The Kennedy Center Honors". Kennedy-center.org. December 2, 2012. Archived from the original on March 19, 2012. Retrieved 2013. ^ "Legendary Pianist and Composer Dave Brubeck to Receive Honorary Degree from The George Washington University | Office of Media Relations | The George Washington University". Gwu.edu. December 7, 2009. Retrieved 2013. Thank you Dave Brubeck...for showing us yet again that music wells up in the most unlikely places! Includes the complete eight-part BBC interview of 1994, Unsquare Dances.